Slowdown of the cell cycle, relaxation, resorption of the subcutaneous fat. 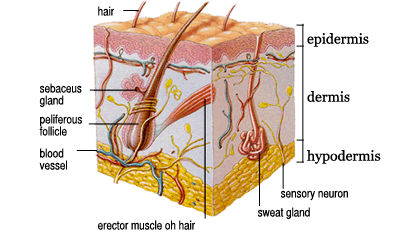 The dermis with the time, undergoes a significant change that effects both the number of cells and their elastic content, decreases the degree of cell turnover while the old cells are replaced more slowly and the tissue becomes more consistent. A reaction takes place of oxidative nature that determines changes in collagen and elastic fibers: with advancing age, the fibrous part becomes thicker than the elastic portion by reducing the nutritive exchanges between the blood and cells. A slowdown of the circulatory activity determines a prolongation of the permanence time of the toxins and a poor nutrition of the tissues; the elastic and collagen fibers are loosened by modifying the function of mucopolysaccharides composing the basic substance that cements. It follows so a decrease of hyaluronic acid has the ability to retain considerable quantities of water, keeping the skin young. The visible result of these degenerative processes is the formation of wrinkles, stretch marks streaks and double chin, the withering and loss of skin elasticity. 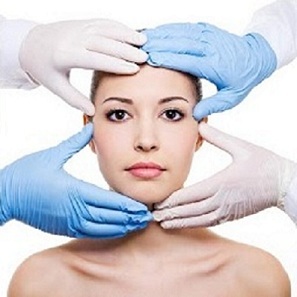 With the time, the ageing process continues until to outline all the typical changes of aging face; by deep wrinkles, to muscular relaxation, to the resorption of the subcutaneous fat and emptying of the cheeks.